Three piece Shop Fittings in white. 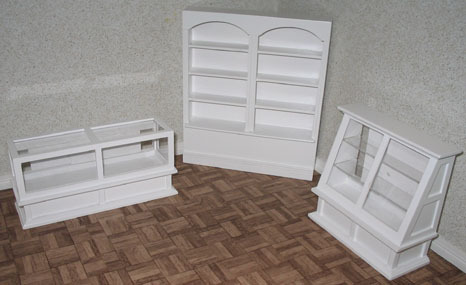 Including two display counters and one double shelving. 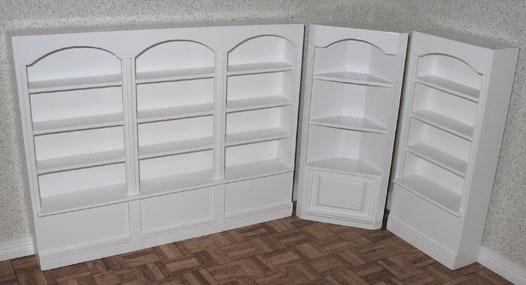 Three piece Shop Fittings in white. Including single and tripple straight shelving and corner shelving.